The trend on point is that INFINIX XOS is ready for use, are you gonna miss this device? I pray you don't. Hope all is prepared to get this awesome device that infinix company carefully produced with much beautiful embedded features. even as that, hope you all are also prepared for the recent fantastic device produced by infinix which its label identity is known as“Infinix Hot S” Infinix company is doing its best I. manufacturing awsome devices this year, kudos to them.. 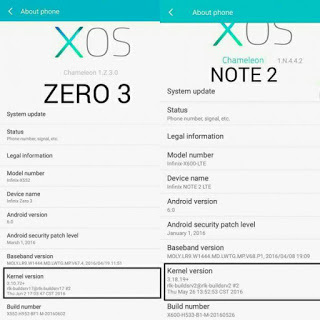 Normally Infinix XOS is available but as it stands right now, Google is undergoing series of test on it. "the XOS is ready and is being tested by Google at the moment. We want to make sure that the XOS will be free of any form of bug, hence the little delay. However, we express our knowledge of some dissatisfaction and be rest assured that it will be worth the wait. Thank you for loyalty and patronage"
You will not miss out that's what am assuring you, so as soon as it’s ready, Techbmc will let you know by publishing here.